Find out how the fate of your B2B Company rests in the hands of relatively few people, and what you need to do about it. This exceptional book is a critical resource for all executives of small, medium and global B2B companies. The world for executives in Business to Business (B2B) companies is critically different from the world of their Business to Consumer (B2C) counterparts. All too often B2C strategies and tactics are applied to B2B companies, which leads to disappointing, even disastrous results. B2B requires a completely different playbook. 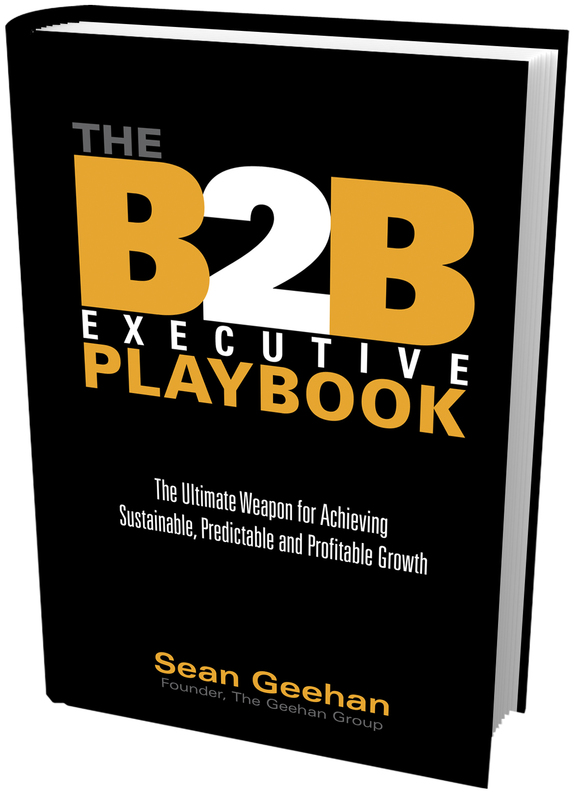 In this groundbreaking book, Sean Geehan draws upon over 20 years of experience to outline the proven characteristics of successful B2B companies and the strategies they must adopt in order to survive and thrive. He and his team highlight case studies and research from market-leading companies such as Harris Broadcasting, Crown Partners, Henny Penny, Springer, AmerisourceBergen, Intesource, Oracle, and more to prove what practices succeed and why others fail. Sean D. Geehan is president and founder of Geehan Group, the premier thought leader in and provider of Customer Advisory Board research, services, and methodology. Geehan Group has researched and worked with hundreds of companies in developing its knowledge base, incorporating industry best practices in building its successful methodology used by market leaders, including companies such as Alcatel-Lucent, Amdocs, Business Objects, LexisNexis, NCR, Reynolds & Reynolds, Dell, EDS, Swagelok, Symantec, Xerox and Autodesk. Sean has more than 15 years experience in the area of sales, marketing and consulting services. He has spoken at and moderated many conferences, hosts a weekly radio talk show, and is the recognized expert on Customer Advisory Boards. Sean has most recently been published in articles by Wharton, American Marketing Association, MarketingProfs, Frost & Sullivan, American Executive and Research Department Report, as well as others. Sean received the prestigious Ernst & Young Entrepreneur of the Year award in 2002. He holds a BA in Marketing and an MBA from the University of Dayton. He has also attended executive education programs at Columbia, Northwestern and The Center for Executive Leadership and Development. "When I became CEO, status quo was not an option. I've witnessed the impact Geehan's approach has made with many firms. Applying these transforming and results-driven principles was a top priority for me." "These approaches have helped Harris refine our strategies and meaningfully retain and grow our revenue and margin." "Applying these principles was instrumental in helping us better plan & execute our growth strategy...it's straightforward and applicable for B2B companies that want to be market leaders."